The classic “cabin in the woods” experience. 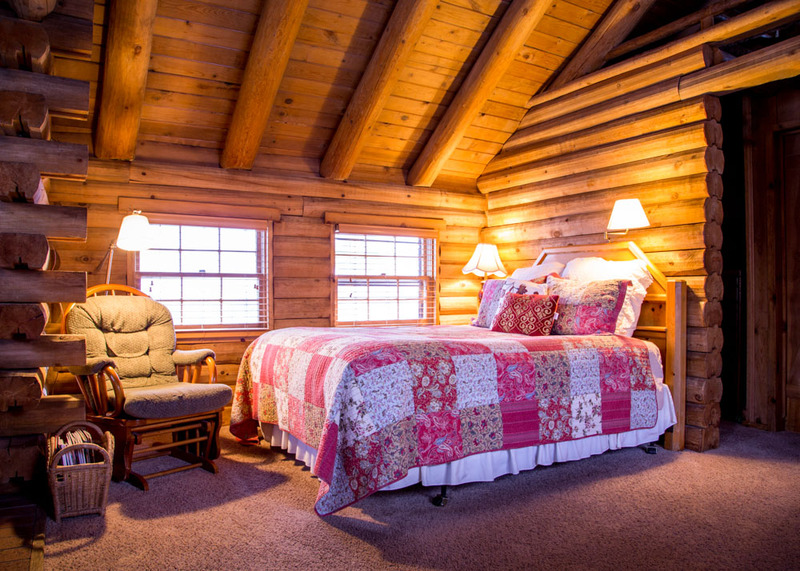 These popular and charming log cabins are great for small families or the perfect setting for a very special honeymoon. 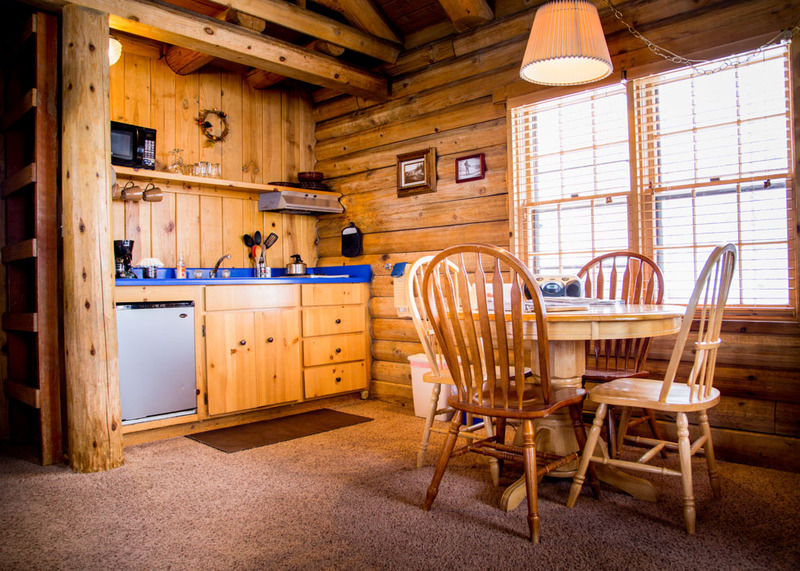 Each has one queen bed, a wood burner stove and kitchenette (no ovens), bathroom with shower. Sleeping/reading loft has two single mattresses. Up to four people. "Clean, comfortable, well-stocked cabin. Friendly staff, good food, great location." 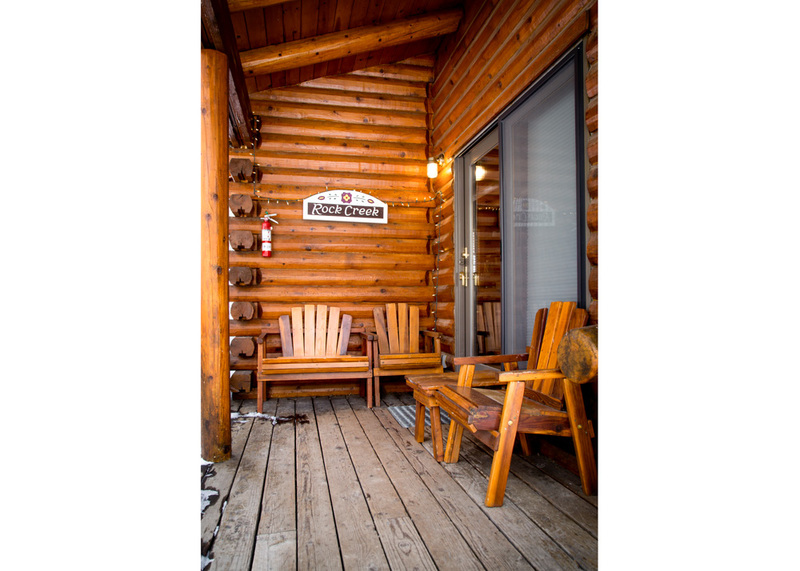 Set privately alongside the creek, this lovely cabin features a queen bed in an upstairs loft. 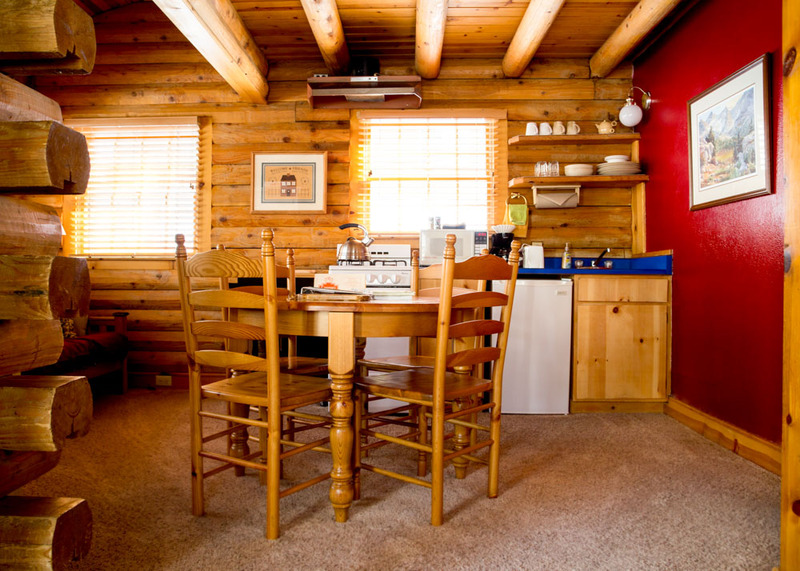 Downstairs has a full kitchen and dining area for four, extending to a comfortable living room with gas log fireplace. Double bed size futon couch sleeps two. Bathroom with shower. "Everything was GREAT! The aesthetics of the entire resort are wonderful. Food is great and wine lovely. It was restful and fabulous. Outstanding!" 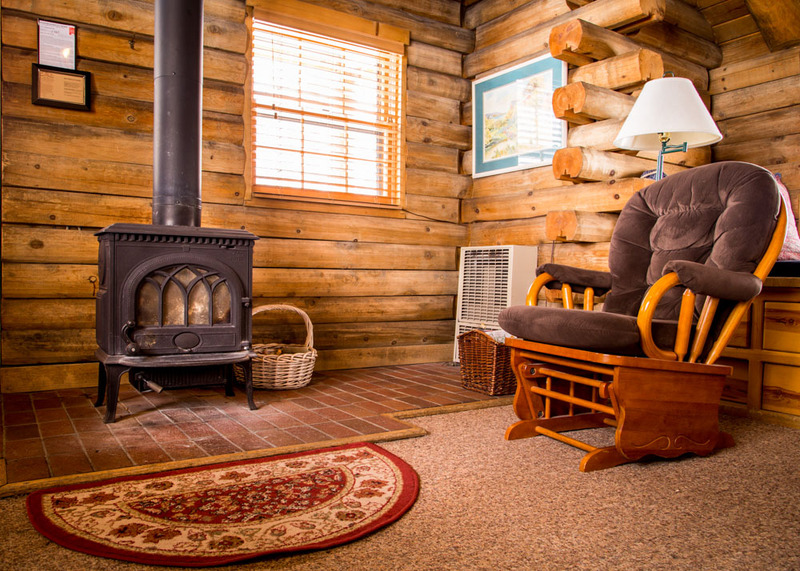 Relax in splendid mountain surroundings and the lovely comfort of these charming log cabins. Each has a queen bed in an upstairs loft; separate bedroom downstairs with a double bed. Full kitchen with seating for four extends into a small living room with wood burner stove. Bathroom with shower. Sleeps up to four. "Friendly, helpful staff-- loved our room." 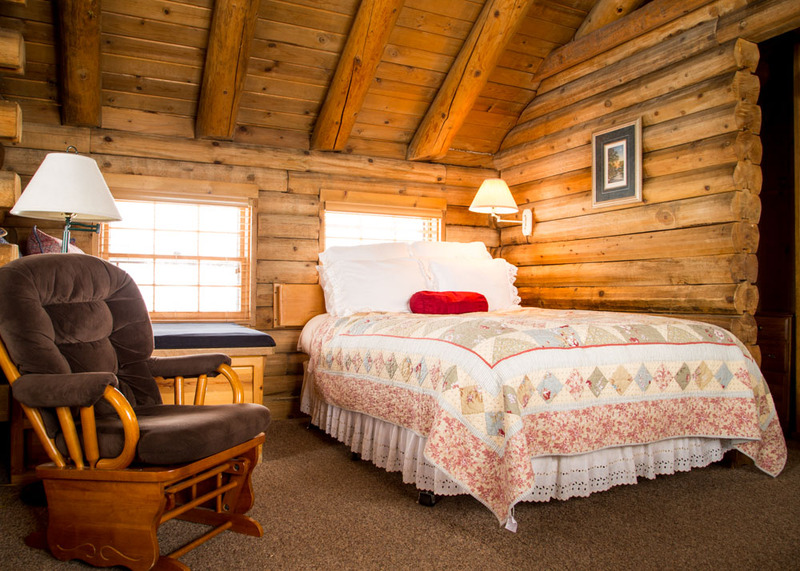 A charming log cabin with classic white chinking and steep- pitched roof (rebuilt from Santa's Village) makes this a unique lodging choice. The cabin also features hand-hewn, arched doorways, full kitchen and living room with gas fireplace set on a rock hearth. A bathroom with shower is downstairs. Upstairs via circular staircase is a bedroom loft with a queen bed and adjoining sun deck overlooking an aspen-dotted hillside. "This place is adorable and perfect for honeymooners! Thank you for having it so clean, and for the sparkling cider!" A whimsical rendition of Santa's House reconstructed from Santa's Village. 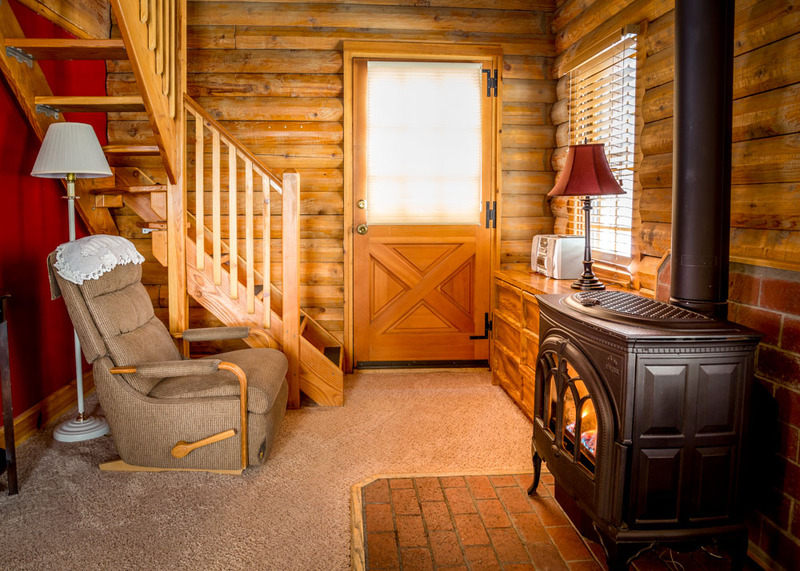 This enchanting log cabin is a delight for two and includes a living room and a full kitchen downstairs with a wood stove, shower and oversized Jacuzzi-style tub. Circular staircase leads to a delightful bedroom loft with queen bed. Private deck off back. "The staff here is really lovely. Cabins are clean and homey. Great food. We've come for over 2 decades & I think it's fantastic! Pitch Perfect!"